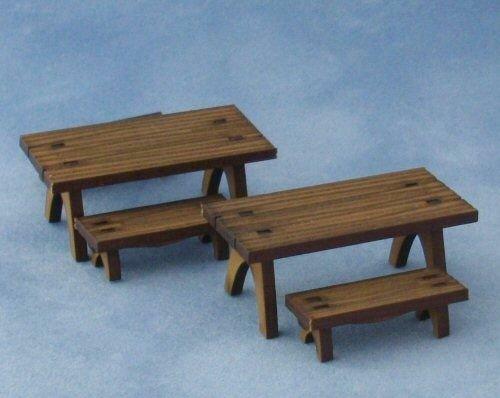 This is a kit for two picnic type tables and four benches. The kit is made from laser cut mdf or similar. Kit can be left as it is, in the brown colour, or repainted in your prefered colour. 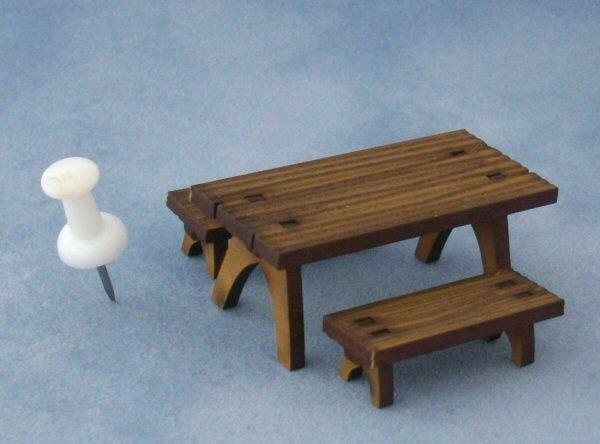 Table measure 42mm long x 19mm wide x 18mm high. 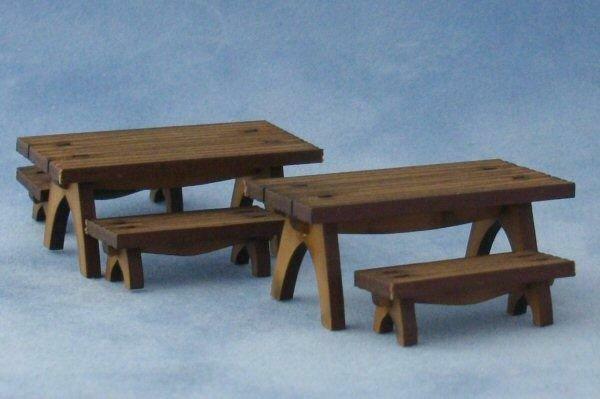 Bench measures 28mm long x 10mm wide x 9mm high.